Richard J. Holden is a human factors engineer and social-cognitive psychologist specializing in the domains of health and healthcare. He received a joint PhD in industrial engineering and psychology from the University of Wisconsin-Madison in 2009. Dr. Holden’s work applies human factors engineering and psychology to study and improve the work performance of patients, informal caregivers, and clinicians. He has investigated multiple healthcare interventions, including information technology, team-based care, and lean process redesign and has been supported by grants from the National Institutes of Health, Agency for Healthcare Research and Quality, Patient Centered Outcomes Research Institute, and other federal agencies. Dr. Holden has authored many scholarly works in the fields of human factors, patient safety and quality, biomedical informatics, and research methods. 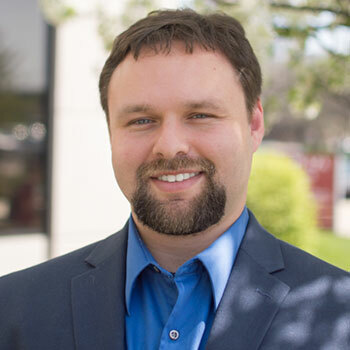 Dr. Holden is on the faculty of the Indiana University School of Informatics and Computing, Indianapolis, and is the Director of the Health Innovation Laboratory.